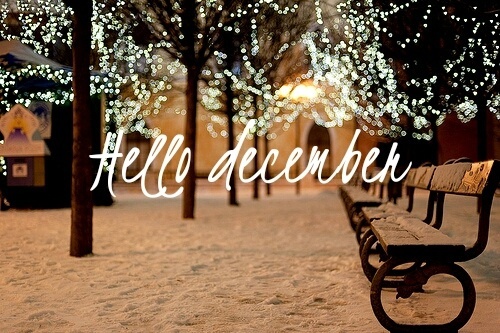 Finally it's here, December. I still remember the hangover I had during the new year celebrations and here I am all set to welcome another year. Is it just me or did 2015 fly by really quick? The year did whizz by, but November was one of the slowest months of my life. Boring is the word that comes to my mind if I have to describe November. Atleast the first half of it for sure. The work for December was all done and I decided to take a break. Worst decision of my life ever. It was a nightmare for me to stay at home and do nothing. Since I've already spoken about it here, I won't delve into it again. Once my break ended and I got back to work, I felt energised again. Being busy is my fuel and I can go on and on. Once that happened, November slowly picked up for me. The month saw me attending my first ever Zomato meet and what fun it was! Meeting a lot of fellow foodies and talking about food always has a charm to it. Food is a topic that can never go old and I will never ever tire talking about it. Check my last poem for instance. November saw me indulge in cooking and baking a lot. Work for the next release started at office and it continued to keep me busy. I did catch up on some reading as well. I am almost done with 'The Palace Of Illusions' and already have atleast 10 books on my shelf waiting to be read and about 15 on my Kindle. I somehow have accepted the Kindle now. Initially I was skeptical if I'd like it, but yes I sure do like it now. It's compact and convenient and I carry it around with me all the time. Ofcourse it doesn't give the feeling of reading an actual book. The one with the crisp pages, the smell of paper, the feeling of running your hands through it. But Kindle comes a close second. Considering the fact that I've used my iPad only five or six times in a year, Kindle has turned out to be quite a wonderful gadget for me. As usual November came with a set of learnings. First, is to stop reading the news paper. Times Of India and Bangalore Mirror is what we subscribe to and I read both of it from front to back over a cup of tea every morning before starting my day. But these days all the news seem to be the same. Peter Mukerjea and his wife continue to be questioned, the PM continues to travel, Rahul Gandhi continues to get ridiculed, some kid continues to fall into a borewell, accidents continue to happen over pot holes, a new startup comes up each day and some IT giant continues to lose money. And yes, let's not forget the entertainment bit. An actor is divorcing his third wife for the second time, another actor who is known to have slept around with everything that looks like a woman comes out in the open that he's HIV positive, Justin Bieber continues to woo Selena Gomez, Kim Kardashian continues to flaunt her assets and Gwyneth Paltrow and Chris Martin continue to make news inspite of their "conscious uncoupling". Let me not get started about the glamour news closer home. Someone got slapped in Big Boss, Hrithik Roshan gets linked with another actress again, Sunny Leone's ads continue to face bans and yet another actor screams out intolerance and the nation goes berserk. Seriously, reading the news papers these days feels like sitting through a marathon of Ekta Kapoor's soaps. Mondays are normally very busy for me. Hence I hardly find time to write something. But it is always mandatory for me to have a post on a Monday. So what did I do? I came up with Monday Musings! This helps me have a good post, plus conveys a lot more than a post in a single image. Why did I not think of this before? I learnt that no matter what the size of the content, if it is good, people will read it. I have visited a lot of new blogs this month and have loved many of it. When you have been blogging for close to seven years now, you already have a set of favorite bloggers and blogs. But going ahead and finding new blogs is quite an experience in itself. While some are clearly in it for contests and freebies, others just awe me with their writing skills. It's nice to know that the future of the writing industry is in good hands. So November took a slow and steady turn to bid goodbye and here we are in the last month of the year. Have you started writing your resolutions yet? Or are you all just like me planning the new year party for now? Hi Soumya. For the same reasons you have mentioned I stopped reading the newspapers long ago.I am waiting for the new year party and kind of really forgot about listing my resolutions. And yeah! even I feel this year has whizzed by. Such an interesting read. I agree with the news part, nothing new or good there. Hope you have a wonderful December. 7 years is wow!! Many more great blogging years to you. I agree - I seriously can't believe how fast 2015 has flown by! I don't usually do resolutions, but have picked a word of the year and am working on some goals for 2016 and will write about them soon. Thanks for your update - nice to know what you've been up to! That's an interesting take to the resolutions! Every year goes like this - in a whizz. I am sure we all feel that. Happy December to you! Oh yes, 2015 got over in a wink. But this was one heck of a year, with us moving to London being the biggest change. Loved this post! And, you've been blogging for 7 years, wow! Keep going!